Christine Blasey Ford, the woman accusing US Supreme Court nominee Brett Kavanaugh of sexual misconduct, will not be publicly testifying to the Senate Judiciary Committee on Monday, Ford's lawyer, Debra Katz, announced late Tuesday. Speaking to CNN's Anderson Cooper, Ford's lawyer stressed that the FBI investigation into the allegations "should be the first step." The latest development came just one day after it was announced on Monday that a public hearing would be scheduled on September 24 for both Ford and Kavanaugh to address the allegations. According to Reuters, Katz addressed a letter to Senator Chuck Grassley, chairman of the committee, to stress the importance of the FBI probe. "A full investigation by law enforcement officials will ensure that the crucial facts and witnesses in this matter are assessed in a non-partisan manner, and that the Committee is fully informed before conducting any hearing or making any decisions," Katz wrote. Although Ford reached out to her representatives, Anna Eshoo (D-CA) and US Sen. Dianne Feinstein in July on the matter, news only recently broke last week after it was revealed that Feinstein had in her possession a letter from Ford that detailed what took place between her and Kavanaugh when they were both in high school in the early 1980s. In that letter, Ford recalled how Kavanaugh and his friend Mark Judge had shoved her into a bedroom and prevented her from leaving. Kavanaugh had allegedly pinned her down and attempted to remove her clothing as Judge turned up the music in the room in order to prevent others attending the house party from hearing her protests. The Supreme Court nominee also reportedly placed his hand over her mouth to silence her cries. 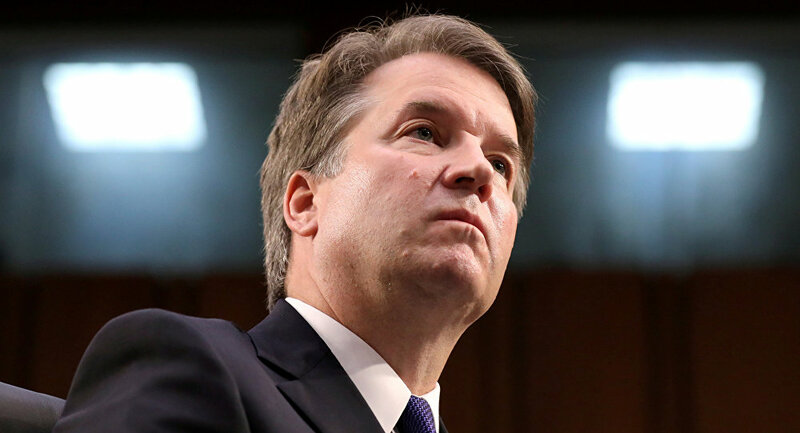 At the time of the incident, Kavanaugh was a student at Georgetown Preparatory School. Ford attended the nearby school of Holton-Arms. In the days since Ford named herself as the woman who was allegedly sexually assaulted, dozens of people who either attended Maryland's Holton-Arms or Georgetown Preparatory School have released statements supporting Ford and Kavanaugh. Judge released his own remarks on Monday, saying that he has "no memory" of the incident Ford has referred to. Kavanaugh first denied all allegations to The New Yorker, saying, "I categorically and unequivocally deny this allegation. I did not do this back in high school or at any time." The Judiciary Committee was initially expected to vote on Kavanaugh's confirmation on Thursday, however, it was later cancelled in light of the scheduled Monday hearing.